Instill a touch of contemporary elegance and efficiency into your home with the Azala storage coffee table from Avalona. 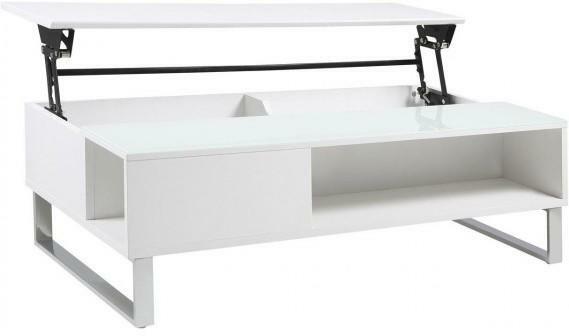 This modern coffee table offers style and practicality in equal measures featuring as it does an internal storage area which can be accessed via a touch activated lift system. 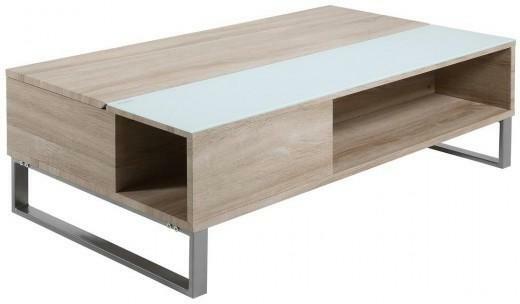 Supported by chic chrome metal legs the main structure of this coffee table can be finished in a choice of either white high gloss or Sonoma white oak veneer. Both finishes are complemented by a white frosted glass panel to the front of the table. To select your favourite finish simply use the checkout menu options.